hd00:13SAMEDAN, SWITZERLAND: Train departs from railway station. 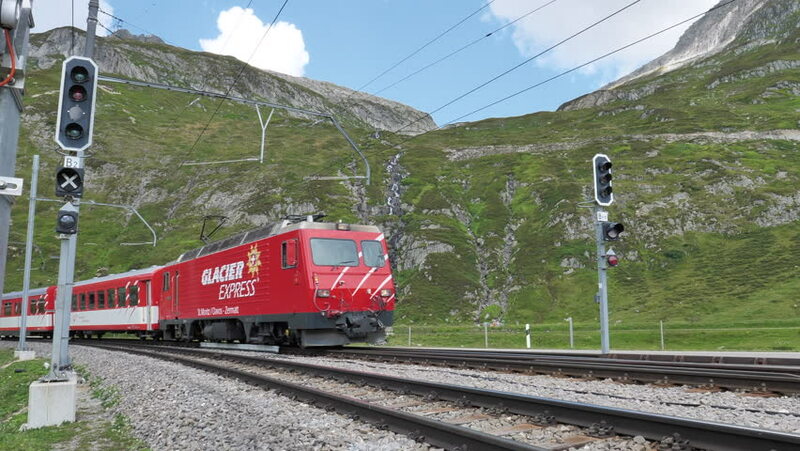 In 2008 the Rhaetian Railway in the Albula / Bernina Landscapes was added to the list of UNESCO World Heritage Sites. hd00:16Migrants wave from a train after they successfully left the Hungarian border village of Zakany in Hungary to continue their trip to Austria on September 30, 2015.